Australian bitcoin services company CoinJar has opened up its debit card service CoinJar Swipe to the general public. The cards allow users to spend from their bitcoin accounts at over 820,000 retail terminals nationwide, as well as withdraw cash from bank ATMs. Notably, the new system means there is no waiting for banks to clear fund transfers from CoinJar exchange accounts. CoinJar announced the launch at the Payment Innovations 2015 conference in Sydney today. The Swipe system had been an invite-only trial since September, with about 61 users spending AU$30,000 in that period. The company, which recently shifted its global headquarters to London, is also planning to launch its full suite of products, including the debit card, in the United Kingdom this year. 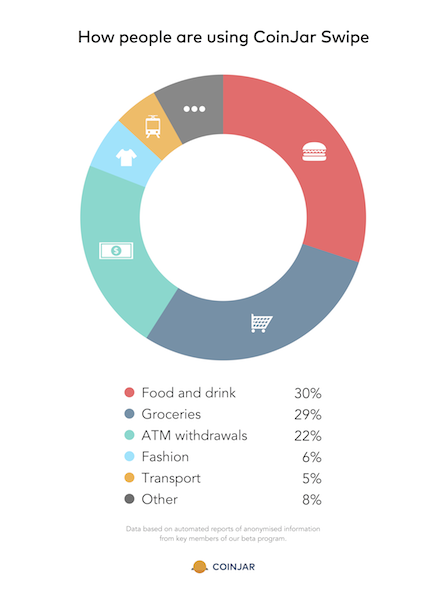 CoinJar’s data shows nearly two-thirds of the transactions made with its debit cards so far have been for everyday purchases at cafes, bars, supermarkets and variety stores. Marketing Lead Samuel Tate told CoinDesk that users with CoinJar Swipe “showed a significant increase in their overall transactional activity throughout the trial”, proving, he said, that tools like Swipe are key in driving the mainstream adoption of bitcoin. Users need to load up their debit cards manually with dollars before spending, though the conversion is managed by CoinJar’s exchange. The company is planning an automated loading feature in future that would allow users to set a minimum balance to be maintained. 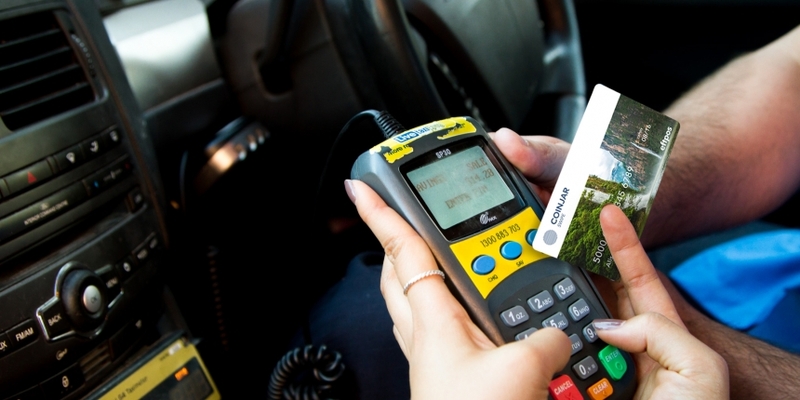 Once loaded, the cards function the same as any bank-issued debit card and can be used at any business in Australia that is part of the widely-adopted EFTPOS debit network. 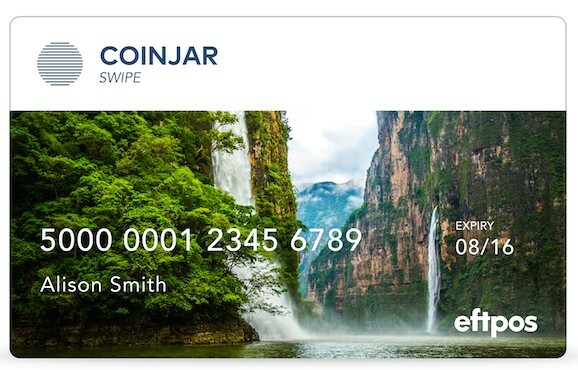 While there is a $29 initial fee to obtain a CoinJar Swipe card, the company promised in September there would be “no activation fees, no load fees, no conversion rates (subject to CoinJar Fair Rate policy), [and] no inactivity fees”. While some ATM networks will charge a fee for cash withdrawals, users can make withdrawals for free at the Coles and Woolworths supermarket chains. “Digital currency is the future, but to make it useful right now it has to tap into the existing banking infrastructure. That’s why something like CoinJar Swipe is so important,” said Tate. CoinJar also recently launched a revamped mobile exchange/wallet app and is introducing a product called ‘hedged accounts’ for users nervous about bitcoin price volatility. Hedged accounts enable customers to set their bitcoin holding at a fiat currency value in their choice of AUD, USD, GBP or EUR. If a user holds $500-worth of bitcoins today, they can lock in that value to access $500 in bitcoins at any point in future. While convenient for nervous users worried about bitcoin price drops, it would also exclude them from profits should the value rise instead.